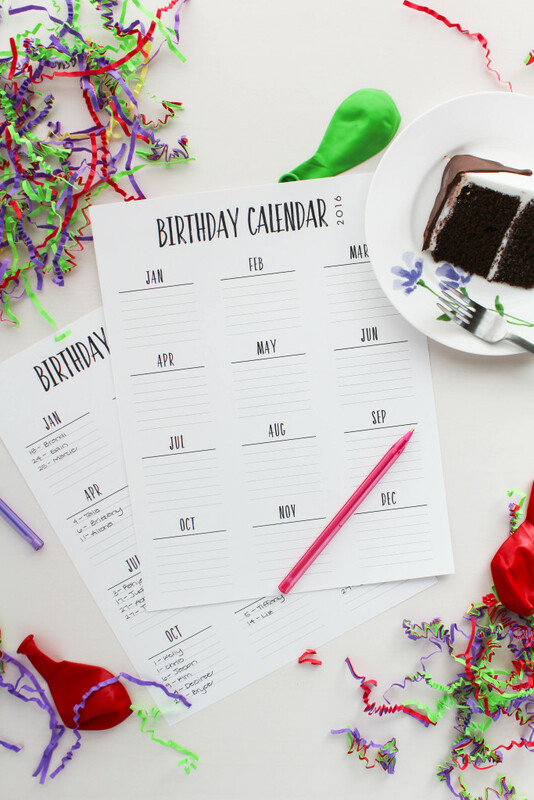 Print and fill out the birthday calendar printable, to help you keep track of upcoming birthdays, grab a book of stamps, a stack of birthday cards, and a pen and get to work! 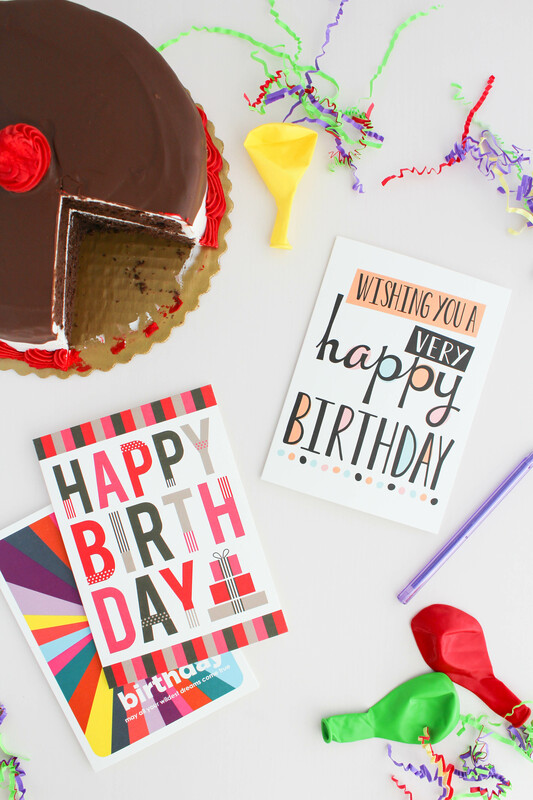 I picked up a few different birthday cards from Tiny Prints. I love the cards they offer because they come in packs of 10 (or more) and you can completely customize the insides of them! Or leave them blank to write your own notes or messages too. 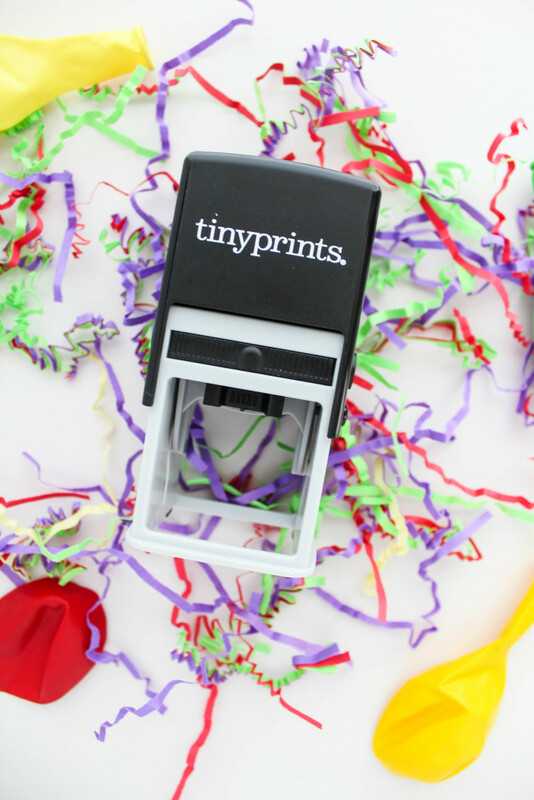 Plus, they are fun, bright, and what’s better than a pop of color for a birthday?! They also come with matching envelopes too! 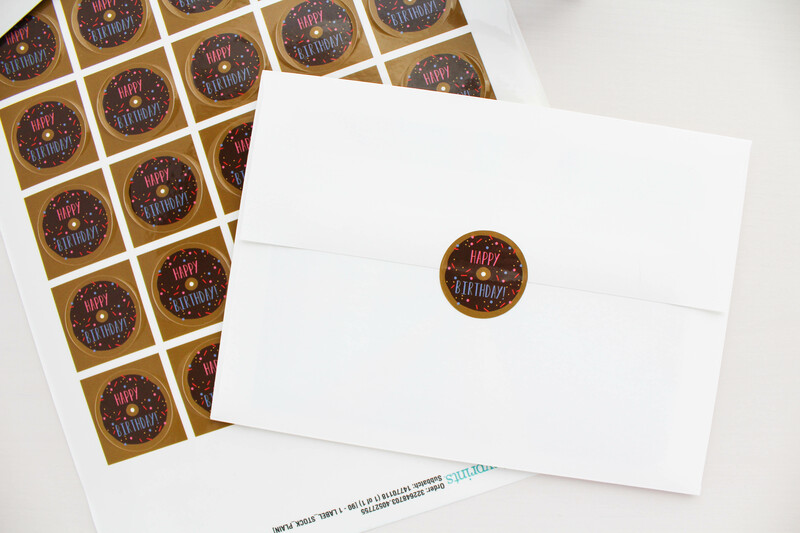 Tiny Prints also has gift tag stickers that you can customize with your own messages too. I went with donuts (of course) and added a “Happy Birthday!” message to them. I stuck them onto the backs of my envelopes to seal them up and to give the recipient a little sneak peak of what was inside. My very favorite thing that you can get though has to be the customizable postage stamps. They offer a ton of different pre-made designs or you can upload your own pictures to use too. You can add messages or greetings on them too! 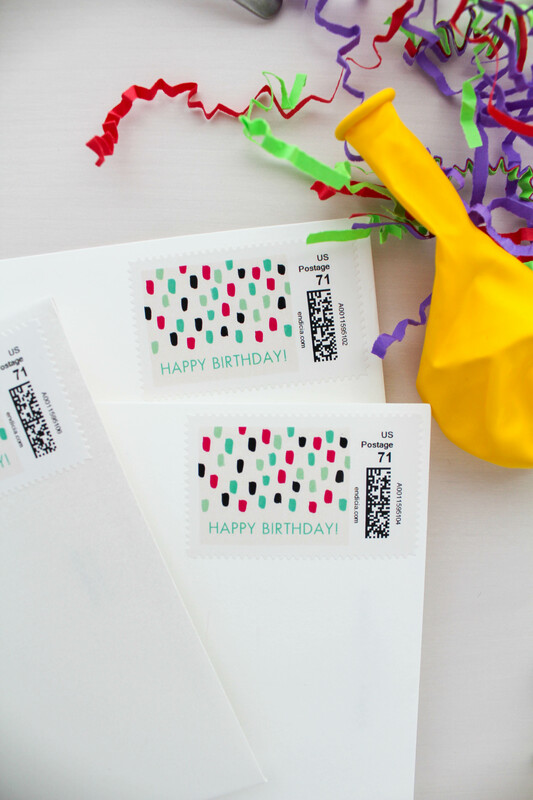 Tell me these envelopes don’t look adorable with these confetti stamps on them! (I picked out the 71 cent option since I have a lot of family in Canada, but they offer traditional postage too). I also picked out a custom self-inking stamp to make addressing my envelopes even easier. Again, TONS of different options available and you can’t beat the prices! I had trouble picking out just one design. I’m planning to prep all of my cards a month at a time to help me stay on track and to make sure I don’t forget anyone if a lazy night creeps up soon, which is totally will since Netflix released new shows. 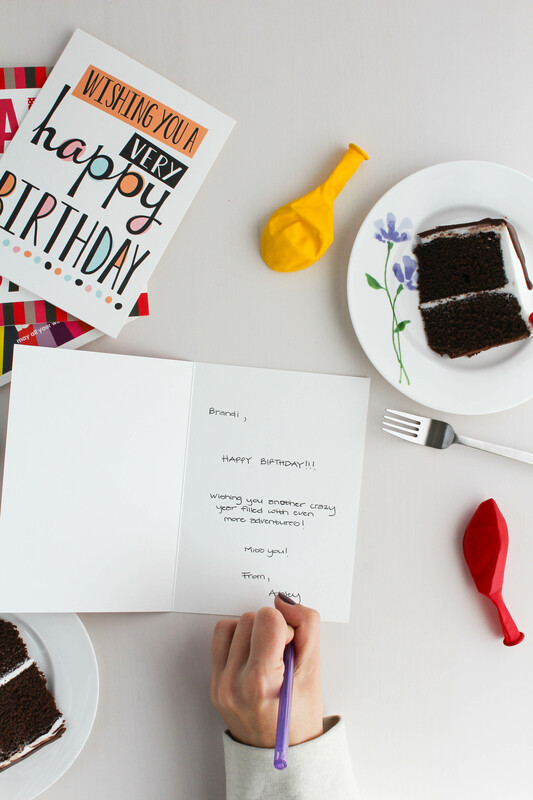 Putting a birthday card in the mail is simple to do and takes hardly any time to put together, but the meaning behind it goes a long way. Your friends and family will really appreciate the time and thought you put into mailing an actual card and make their birthday just a little more special too. 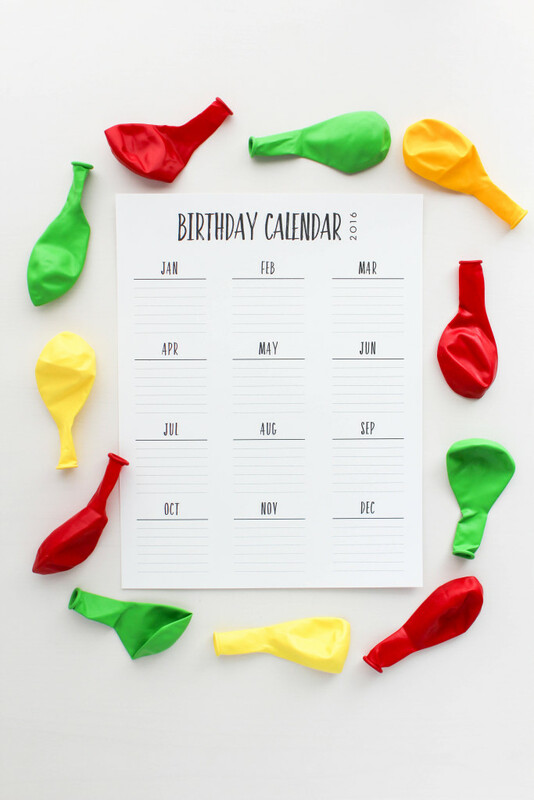 Thank you so much for this clean printable! I will be using it for family, friends, and volunteers at church. Thank you!